So what does your child’s day look like? Our pre-school accommodates up to 30 children aged between 2 to 4 years. It is a fun and structured day with lots of free play where children set out on the first stages of learning the alphabet, colours, shapes, and simple numbers. In addition we have fun days dedicated to music, dance and arts & crafts where we inspire the children to explore their creative side. On Forest School days, we especially encourage our children to explore the natural world and use natures materials to create something fun. E.g. Mud pies, trees made of leaves, stick men etc. We also have bug hunts, plant hunts, stick collections, and forest exploration that keeps them fully entertained for hours! 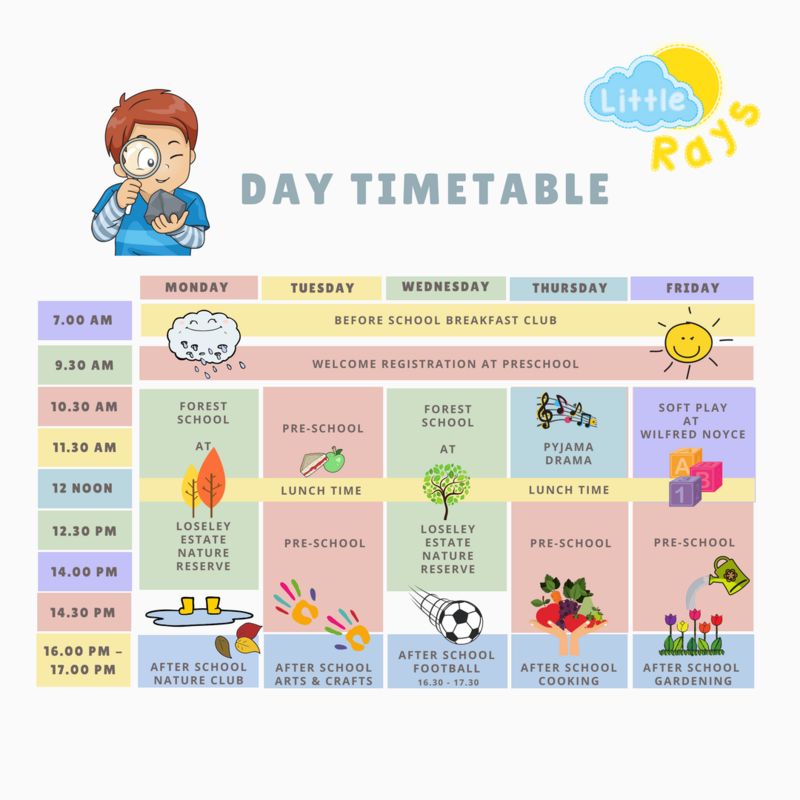 Below is our weekly timetable that illustrates our daily activities. Feel free to print or share on social media or send to loved ones and let us know which days you’d like your child to attend. Every day is an adventure! So lets get started.